Waitrose Blueprint wines are crafted to reflect the world's classic regions and styles. 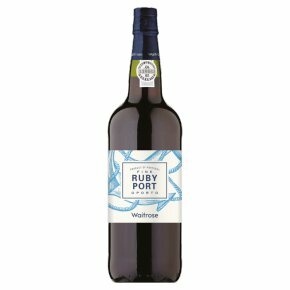 …From the award winning independent Port producer, Symington Family Estates, this rich Ruby port that is full yet smooth-textured, with fresh red and black fruit flavours. Perfect with a dark chocolate dessert or hard cheese.